Innovative and packed with state-of-the art features, the Canon EOS R offers the world’s fastest AF at 0.05 seconds1. Whether you’re shooting portraits, landscapes, street, travel, weddings or video, the advanced technology of EOS R enables you to extend your storytelling and create images never previously possible. Canon’s engineers have re-designed the EF lens mount especially for the EOS R System with a unique 12-pin connection. This innovation radically improves communication between the camera’s lens and body, making it faster with EOS R than was previously possible. The RF lens mount is extremely wide with a shallow depth from the mount to the sensor. The design allows lenses to be closer to the sensor, enabling the creation of faster, brighter, higher-quality optics with unsurpassed performance. EOS R offers a full-frame 30.3 Megapixel Dual Pixel CMOS AF sensor which focuses without compromise thanks to its advanced phase detection system allowing the user to select between 5655 AF positions2. It uses the vast majority of the sensor’s pixels (80% of the horizontal pixels and 100% of the vertical) to result in super-fast autofocus for stills as well as smooth focus tracking when you’re shooting video. In situations where you want to shoot with complete discretion, the click of a camera’s shutter firing can alert your subject and wreck a great opportunity. This is as true for informal wedding photography as it is for shooting wildlife at close range. EOS R is the first Canon camera to offer a totally silent shooting mode, so you can take pictures without ever disturbing the subject. Used in combination with the Vari-angle screen, silent shooting makes completely candid photography possible. Many of the EOS R’s impressive functions are made possible by the powerful DIGIC 8 processor. Its key benefits include better communication between camera and lens, resulting in faster AF and best-ever images straight from your camera. Its ultra-fast processing speed and power means EOS R’s improved Digital Lens Optimizer is always operating, without affecting camera performance. It guarantees optimum quality, aberration-free images. EOS R offers the same high level of 4K video features found in the EOS 5D Mark IV, plus advanced upgrades such as noise reduction to improve high ISO performance. The combination of EOS R’s CMOS sensor with the DIGIC 8 processor means you can shoot in richly-coloured, highly-detailed 4K video with 10-bit output via HDMI. This professional-level video output gives you maximum editing possibilities as well as 4K time-lapse shooting and 4K movie-frame grabs. EOS R features both a headphone socket and a microphone mini mic input. Full-Frame Mirrorless camera that opens up new creative opportunities for photographers and filmmakers. 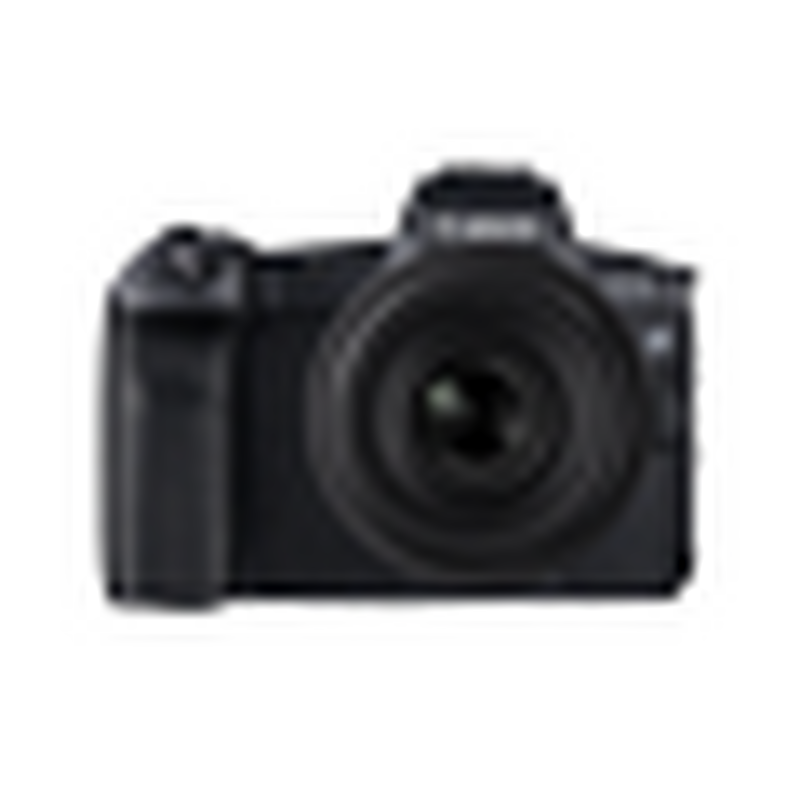 A small, lightweight and intuitive full-frame mirrorless camera designed for travel and everyday photography. EOS R System lens mount offers greater creative possibilities to capture every moment. Innovative EOS R System lenses offer super-fast focusing along with outstanding optical quality. Connect your EOS R System to the wider world of EF and EF-S lenses.